We appreciate your feedback about your support experience with WooCommerce, developers of WooCommerce PayPal Pro Hosted Gateway. This helps us maintain high standards on the WooMarketplace, and helps WooCommerce improve. Accept credit and debit card or PayPal payments without capturing or storing card information on your website. 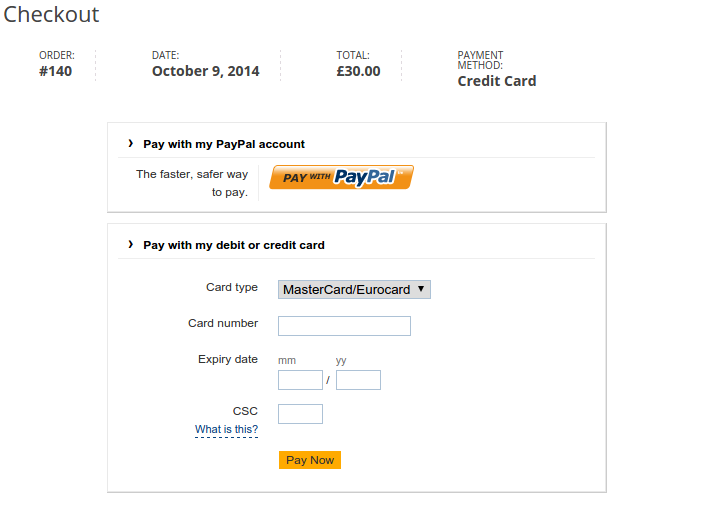 Using PayPal Pro Hosted, payment information is collected by PayPal using an inline frame in your WooCommerce store. Have the security and comfort of using PayPal, without redirecting customers away from your store. PayPal Pro Hosted solution is an integrated and comfortable payments solution, offering a fresh outlook on what it means to use PayPal for your WooCommerce site.